Sweet! That'll look great on bags! ...and will you get wire wheels too? Some sort of speedy wheel, sorry i don't know much about them as I've only had the car about one month. They look suspiciously like 19x8 Advanti Punch rims. They suit E-series so well, though my opinion is a bit biased haha. Did you get them brand new? i'm going to guess pdw fuzions? 19" copies in e series offset. i wish they werent so common now. excuse the messy state of the car. 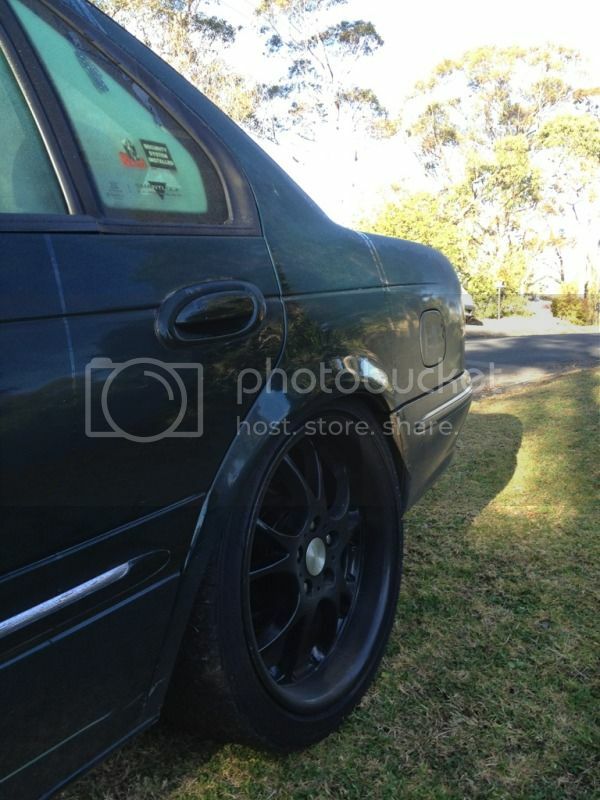 File comment: can any one tell me what these rims are idk?